Sometimes Hogwarts students and Marvel superheroes need to stop and recharge before diving into the adventure that awaits at Universal Orlando. If you plan on visiting the Orlando resort, consider our top two super-close, affordable and, of course, extremely delicious dining options! Because Golden Corral and IHOP aren’t going to cut it anymore. Conveniently located on International Drive (close to Universal Orlando and Fun Spot), Hash House A Go Go serves up monstrous portions of classic, farm fresh food with a twist. Imagine a pancake the size of your head or a tower of chicken and waffles! This is a fun place the whole family will love for breakfast, lunch or dinner! Also near Universal Orlando on Kirkman Road is El Potro Mexican Restaurant, an ode to authentic Mexican food for a series of fiestas in your mouth. Indulge in unlimited tacos, fajitas, enchiladas and more at El Potro’s brunch and dinner buffets. 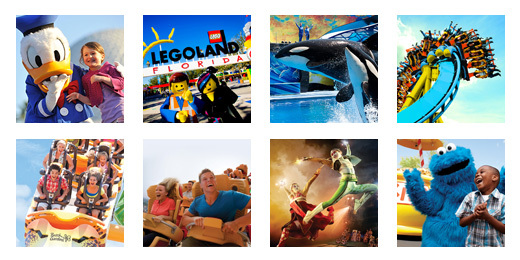 Let TicketsatWork help you save big on your next trip to Universal Orlando with our incredible deals on base, park to park, and combo tickets. But don’t let us stop helping your there. Let our food recommendations satisfy your appetite so you can take a bigger and better bite out of Universal Orlando!